Girls, do you love pizza? And let's surprise your mom and make her a pizza for dinner. She comes home from work, and you already gave her a pleasant surprise. The kitchen is clean, cleaned on the table is warm and smelling pizza. Mom will be very pleased with your act! So, let's start! How to play: first we need to check whether all the ingredients for a pizza. If something is not, you will need to go to the store and buy it. 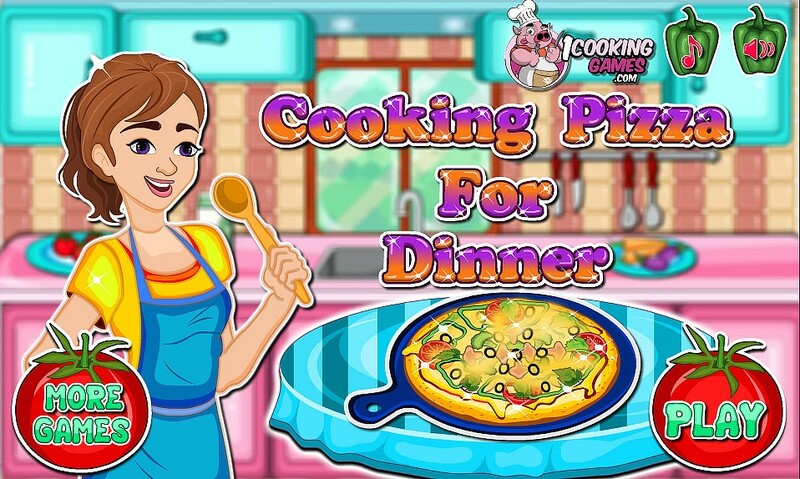 In this game you will cook pizza and immediately go to the store. Fill the cart with products that you need by clicking the mouse on them. Then we need to come home and start cooking pizza at home already. Use the mouse to find all the missing products. They are in boxes in the table. Then start to prepare the pizza dough. This can be done with the mouse. Follow the prompts. So you can easily learn how to quickly cook this delicious dish and easily able to repeat those actions in real life. Cooking pizza for dinner game.